The witches and warlocks on Chilling Adventures of Sabrina are full of secrets, most of which came to light in some way or another in season one. But there is still one major character that probably has fans confused at the end of Season 1. 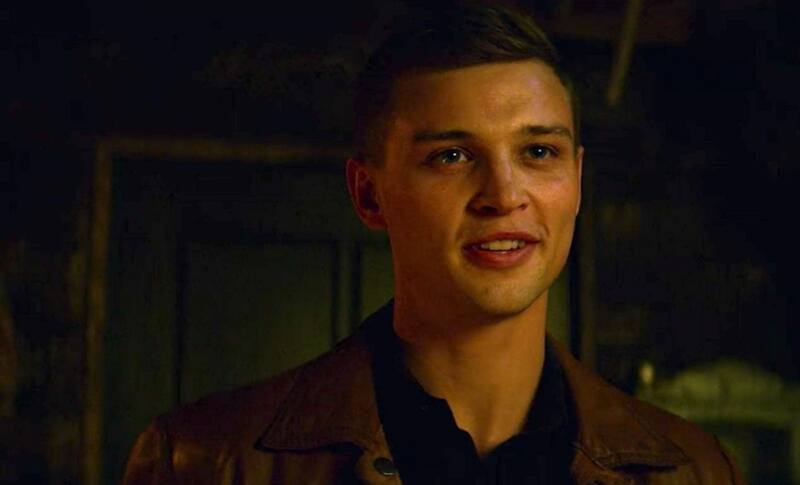 Luke Chalfant pops up relatively early on in the new Netflix series’ debut season, and becomes increasingly important as his relationship with Ambrose Spellman grows. But who is Luke on Chilling Adventures of Sabrina really? He is clearly an important character, but viewers never really get a handle on where he stands throughout the first season. Let’s break down what we know, and theorize about how he could potentially shake things up for everyone in Season 2. Spoiler alert: This post will discuss plot points from throughout the entire first season of Chilling Adventures of Sabrina. Ambrose first meets Luke at the funeral for a dead warlock named Connor. Luke reveals that he used to date Connor, and Ambrose says that he is still taking care of Connor’s iguana familiar in his room. Later that night, Luke appears in Ambrose’s room, revealing that he is also a warlock, and he and Ambrose immediately begin hooking up. But the next morning, Luke leaves before Ambrose wakes up, and Connor’s familiar is mysteriously dead. Now, obviously this feels super sketchy — did Luke hook up with Ambrose just to kill Connor’s familiar? And if so, why did he want Connor’s familiar dead so badly? We actually never get the answers to these questions, as Ambrose just assumes the familiar died as a result of Connor’s death. We also never get any more meaningful details on Connor’s death. Ambrose thinks that he was killed by a witch hunter, but it is never followed up on. And Connor’s parents kill themselves apparently as a result of grief. The only person left with some connection to Connor is Luke, which only makes him more suspicious. And there is another really important detail that makes Luke seem super sketchy: Although Luke did leave his number for Ambrose after their initial hook-up, Ambrose later reveals to Hilda that Luke has not been answering any of his calls or messages. This could build on the theory that Luke only used Ambrose in order to kill Connor’s familiar. Of course, Luke and Ambrose become much closer after that, but that is likely largely due to the fact that Hilda spiked Luke’s coffee with a love potion. Could Luke’s kindness and romance with Ambrose in the latter half of the season just be chocked up to a love potion? There are some other shady things we learn about Luke as the season progresses as well. Apparently, Luke has some connection to a High Priest, and uses it to help Ambrose end his house arrest. Father Blackwood also reveals that he has been working closely with Luke to implement a drastic reformation in the Church of Night, which sounds super ominous. However, the first season ends before we find out whether Luke is genuinely a good guy or someone with ulterior motives who has been blinded by a love potion. Hopefully, we will get some more clarity on where Luke really stands in Season 2.